Baby faces in: Baby can face you to have eyes contact and gd communication with you. Baby faces out: Baby can face away from you to see the things going around him or her. Baby on your shoulder: The baby can sleep on your shoulder. Opening window, There is a opening window on the box for customer to see what color inside. Boxes, It is color boxes with model. It is good to be a gift for a newborn baby. 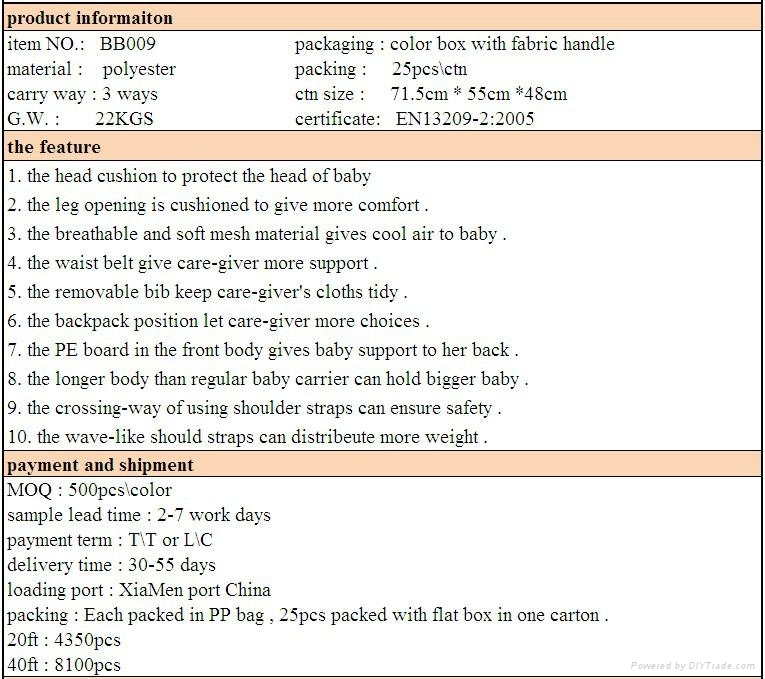 25 pieces to a carton with soft baby carrier separated from color boxes (flatted) in the same carton. Outside the carton is reinforced by the 6 straps. Sample is always available. Please inquire. In 7 days after order confirmed. Please inquire ASAP. 1) It has a very good look with unique design. It is best choice for those parents who enjoy sports. 2) The front pocket can keep the baby's small toys. 3) The two light-reflective band keep light in dark when auto vechile going by. 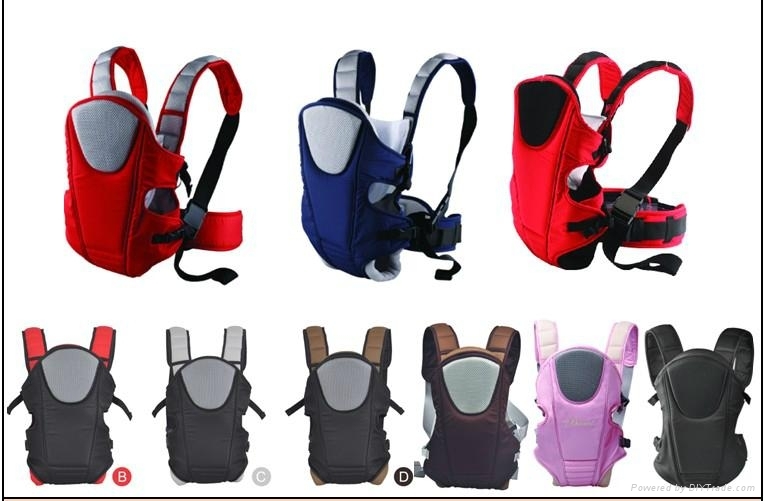 4) The padded 3D mesh strap can not only share the weight but also keep you should cool.